We are family owned and operated with over 10,000 completed projects and satisfied customers. Let our interior designer help guide you through the process of selecting the best flooring for your home. Our team of flooring specialist are ready to take care of all your flooring needs. 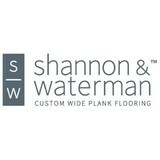 Shannon & Waterman specializes in creating custom wide plank hardwood floors for homeowners, designers and architects. The Shannon family has been in the lumber industry for over 100 years and Shannon & Waterman still sources hardwood from the same family forests the Shannon’s have been sustainably farming for over a century. By controlling all aspects of sourcing and manufacturing, Shannon & Waterman is able to create the custom hardwood floor of your dreams and maintain exceptional quality. For more information visit <a rel="nofollow" target="_blank" href="http://www.shannonwaterman.com">http://www.shannonwaterman.com</a>. We specialize in residential refinishing and installation. We work with homeowners, contractors and insurance companies on large or small projects. Our family owned and operated company has been in business since 2005. 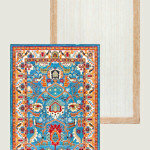 We take great pride in offering you quality craftsmanship at competitive pricing. OUR BUSINESS: At Huber Floors we provide installation and inspection services for all major types of floor coverings in the Mid-South area. Our business expertise ensures that you the homeowner will receive knowledgeable service from a leader in flooring installation. All of our installers have been carefully screened, selected and trained to provide you with a friendly, professional and prompt flooring experience. OUR STORY: It was pretty much love at first sight for Spike and Michelle Huber. As high school sweethearts from Indianapolis, Indiana, they soon got married and started a family of three children. Spike, a professional wrestler who landed a stint in the WWF, cut his teeth in the mid western WWA League. As the son of a plumber, Spike also shared a background as a skilled tradesman. In the early 90's, Spike and Michelle moved to Memphis so that Spike could join the surging Memphis Wrestling circuit. After Spike's professional career ended, they founded Huber Floor's. 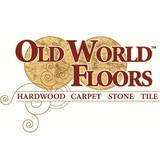 Over the past two decades Huber Floor's has proudly served the mid south working with thousands of satisfied customers. Backed with an unheard of LIFETIME INSTALLATION WARRANTY*, you too should make Spike Huber Flooring and Construction your only choice when it comes to your next project. Thank you for your interest in Blackwell’s Carpet and Floors, a family owned business established September 1981, serving Memphis, Tennessee and its surrounding areas. We pride ourselves on our quality workmanship and courteous team of skilled installers. We guarantee all of our work and assure customer satisfaction. 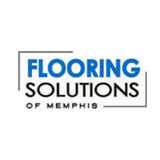 With over 30 years experience we have established a reputation of excellence here in Memphis and are ready to assist you in all your flooring needs, residential or commercial. We are a full service flooring company and have a knowledgeable sales staff, expert installers and great customer service. 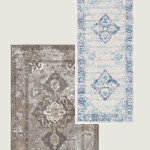 We offer in home consultations to help you decide which flooring best suits you and your home. We handle your selection, measuring, ordering, and installation needs. 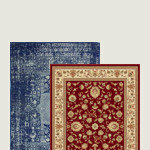 We carry an array of high quality, name brand flooring coverings at a reasonable price. We have been a BBB Accredited business since October 1981. We support the BBB's services to the public and meet the BBB Accreditation standards. We give personal service before and after the sale. Again, thank you for visiting Blackwell’s Carpet and Floors. We look forward to exceeding your expectations. Contact us today and speak with one of our representatives. Let us assist you with your flooring project. At Premier Flooring, we put quality craftsmanship and customer service first. Located in Hernando, MS, we have worked with countless home and business owners since 1996, removing old, outdated flooring and installing beautiful, timeless products. As a family-owned and operated company, we carry on a tradition of detail-oriented sales and service. We offer a wide range of products and options to suit any home and any taste. We offer sales, removal and installation of hardwood, ceramic tiles, laminate, vinyl, and carpet flooring. We also install tile showers and bathrooms. Let us help you increase the value and aesthetic appeal of your home, whether you are just moving in or are remodeling. We are proud to offer free estimates, as well as financing, because we believe everyone deserves high-quality, timeless flooring in their homes. Our team has the professional skills and knowledge you can rely on for guiding you in picking the best flooring option for you, your home and your family, and to always get the job done right on time and on budget. 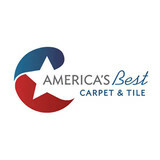 At Dan the Carpetman, we are focused on providing flooring services with the highest level of customer satisfaction. We will do everything we can to meet and surpass your expectations. With a variety of materials to choose from, we're sure you'll be happy working with us. Look around our website and if you have any comments or questions, please feel free to contact us. One stop shop for all your remodeling needs. Wide Plank Hardwood Flooring custom made for high end residential and commercial properties. Nothing enhances the beauty and value of a home like Shamrock Plank Flooring. Shamrock Plank Flooring, proudly made in the USA, manufactures a full line of Prefinished and Unfinished plank flooring. We offer Solid or Environeered, Shamrock's brand of engineered flooring as well as several lines of hand scraped and distressed flooring in a variety of species. 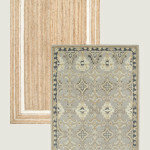 Visit www.shamrockplankflooring.com for more information. The Floor Store has been providing carpet, hardwood, and tile installation and service to the Greater Memphis Area and Desoto County since 1993. At Flooring Solutions of Memphis, it is my business to not only be at the forefront of design, but also to be advanced in the installation and services we provide after the design has been chosen. What kinds of services do hardwood flooring installation professionals in Memphis, TN provide? Find hardwood floor experts in Memphis, TN on Houzz. Search the Professionals section for Memphis, TN hardwood flooring installers and dealers or browse Memphis, TN photos of completed installations and look for the professional’s contact information.